Connect everything with one cable. 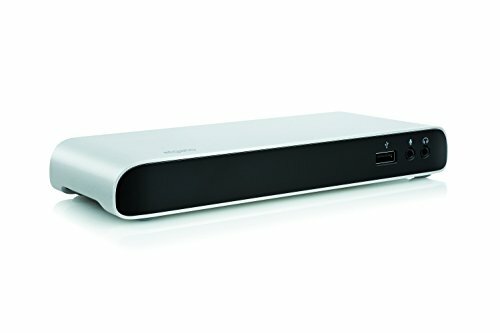 Elgato Thunderbolt 2 Dock enables you to connect everything to your MacBook or Ultrabook at once. 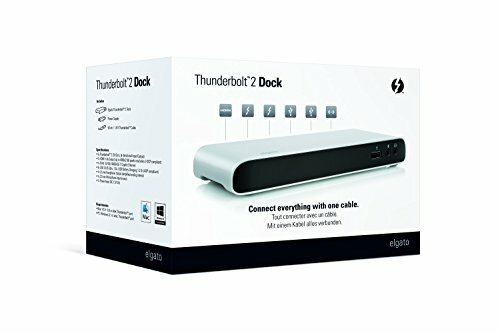 With two Thunderbolt 2 ports, connect your computer with only one cable and daisy chain up to 4 more Thunderbolt devices. 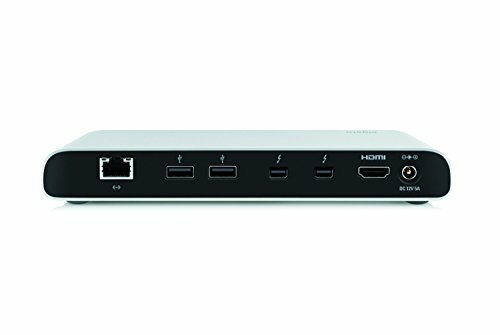 Connect one display with up to 4K resolution using the built-in HDMI or Thunderbolt connector. 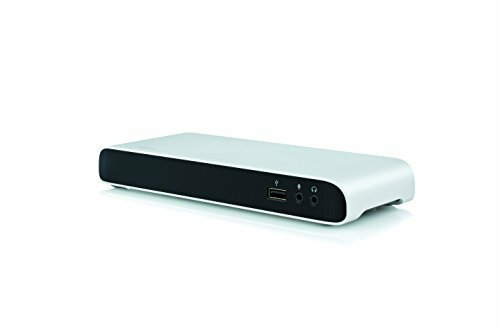 If you have a Thunderbolt monitor, you can connect a second display to the Elgato Thunderbolt 2 Dock using the HDMI connector. Three additional SuperSpeed USB 3.0 ports assure that all of your devices are connected when you need them, at full speed and with up to 1.5A of power. 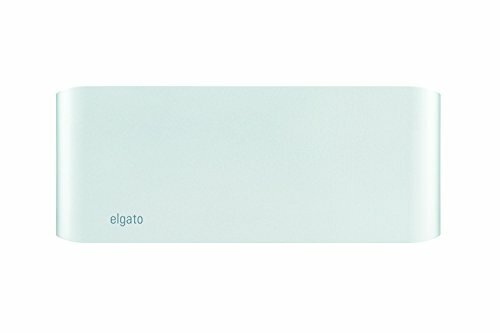 Tap into the full performance of wired network connections with the built-in Gigabit Ethernet port, and enjoy crystal-clear conference calls through the separate microphone input and amplified audio output. 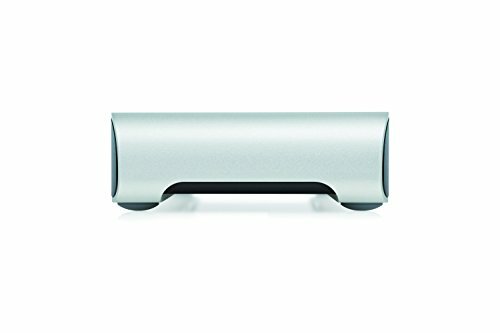 NOTE : If you have a Thunderbolt monitor, you can connect a second display to the Elgato Thunderbolt 2 Dock using the HDMI connector.